Bollinger: 2016…. The Next 1988? Champagne Bollinger. This famous house situated to the south of the Montagne de Reims takes Vins Clairs tastings much more seriously than other producers. Every year trade representatives, journalists and fanatical consumers alike descend on the village of Aÿ to visit the Maison and gain an insight into the latest vintage. Typically grand affairs, we attended the 2015 Vins Clairs tastings last year, learning about the vintage over a three day experience. This year however with ten other houses to visit, we just popped by for a quick tasting of the 2016 base wines. 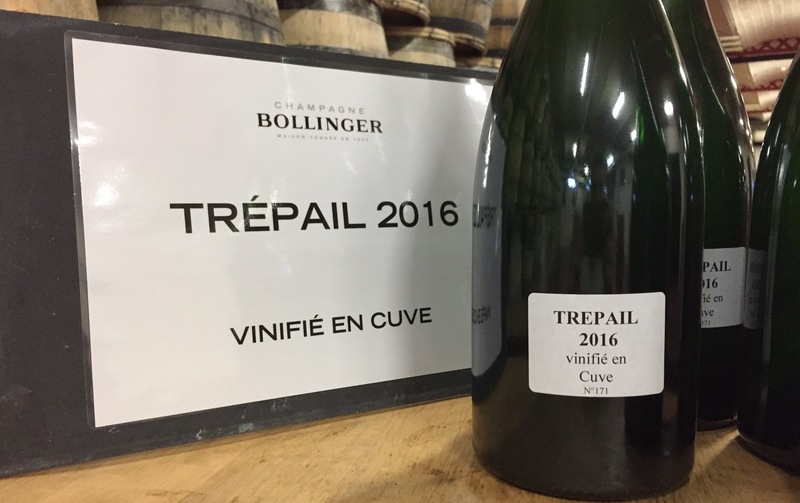 It was March-mania as usual for Bollinger and although due to meet with Chef de Caves Gilles Descôtes, he was unavailable – much of the information below was provided at a later date. Bollinger appear to have been quite fortunate during the climactically difficult 2016 season, but still some hardships could not be overcome. Of note was the historically mild winter – particularly December 2015 which saw record-high temperatures – followed by a disastrously cold start to spring. 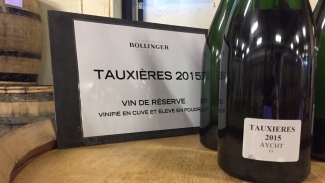 Consequently, the Bollinger house reported a late bud burst of around 20th April (to put that into perspective, the Champagne region has already been seeing bud burst in the last fortnight or so for the 2017 vintage), with serious frost appearing towards the end of the month. This frost had major consequences for the region: entirely destroying nearly 4,500 hectares, with half of the damage occurring in the Aube area alone. 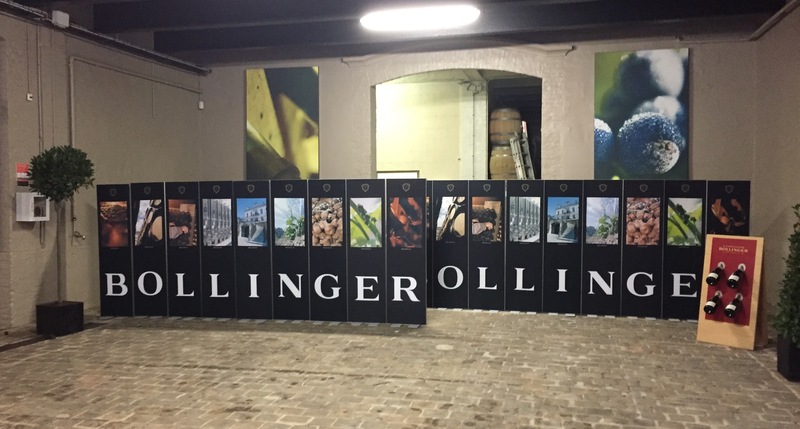 Bollinger also revealed that whilst challenged last year, their recent commitment to excluding the use of herbicides was upheld – an achievement we applaud. 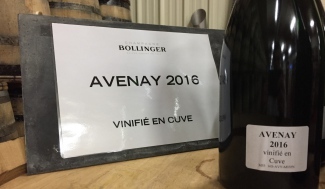 The unusual harvest widely experienced elsewhere was also seen at Bollinger. In a return to favour, the dry and very hot August weather cured many patches of downy mildew and botrytis, even scorching some bunches! 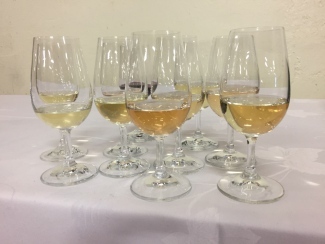 Whilst the maturation process for the black grapes got off to a vigorous start, the Chardonnay was slower to react, resulting in an unusual staggered harvest. Indeed, Chardonnay picking only began on 27th September when the Pinot Noir crus were already finished – a highly abnormal occurrence for the Champagne region – with Meunier grapes beginning harvest on 13th September and Pinot Noir on the 19th September. Bollinger’s reported yields were relatively low: approximately 9,000 kg/ha, but “the quality was perfect.” With a total acidity near 8 g/L, a pH around 3 and an especially perfect healthy condition – the house consider this success miraculous in view of the year’s growing conditions. Putting these claims to the test, the house presented us three Chardonnay, one Pinot Meunier and four Pinot Noir base wines, plus the completed Special Cuvée blend and La Côte aux Enfants to sample. Abundance of fruit – predominantly lemon. Loads of richness and fruit character on the palate. Lots of lemon and peach notes. Hint of iodine and very light palate. All melon flavour, with an oak toastiness and abundance of acidity. Lots of toast and drying barrel character. Lychee flavour that lingers on the finish. Very floral. Good power and intensity of fruit. Quite meaty on the palate, with delicate strawberry notes. Quite fresh and light. Lot of white peach aromas and a strong lychee character on the palate. Very aromatic. Loads of peaches and a creaminess on the palate. Fresh acidity. Simpler fruit character here. Lots of blackberry flavour and a spicy finish. Loads of tangerine flavour and great acidity. Very pleasant and lingers long. 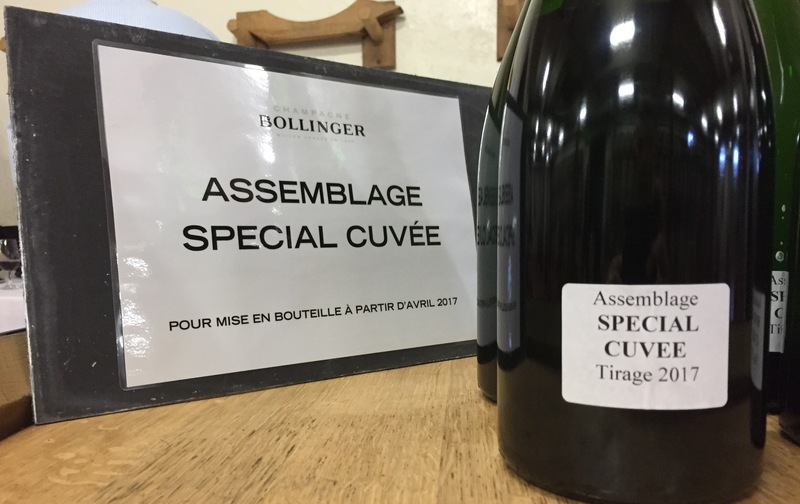 Next we tasted the completed Bollinger Special Cuvée blend with 2016 as a base vintage, due to be bottled in April 2017. 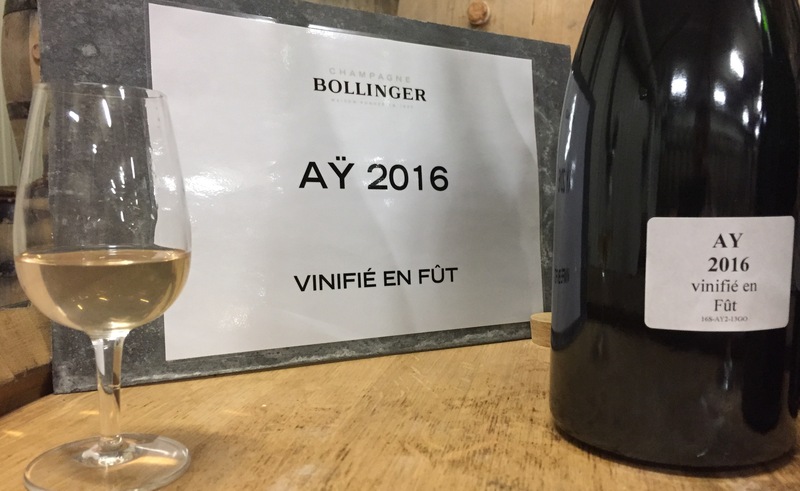 We also tasted Bollinger’s famous red wine, La Côte aux Enfants 2016. Aromatic! Abundance of fresh lemon, apple and citrus character. Less tropical components than expected. Great finesse and elegance. Masses of black cherry flavour. Good structure and a real freshness. 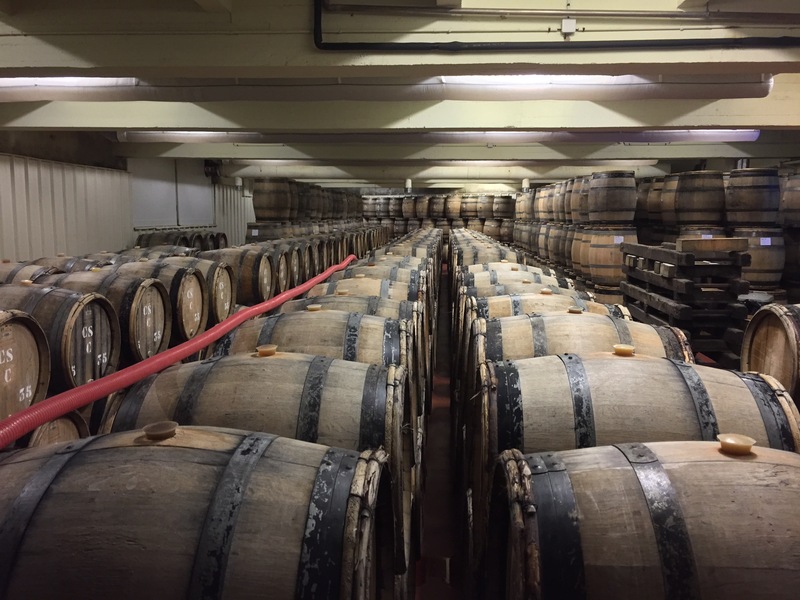 Slightly dry finish from the oak. 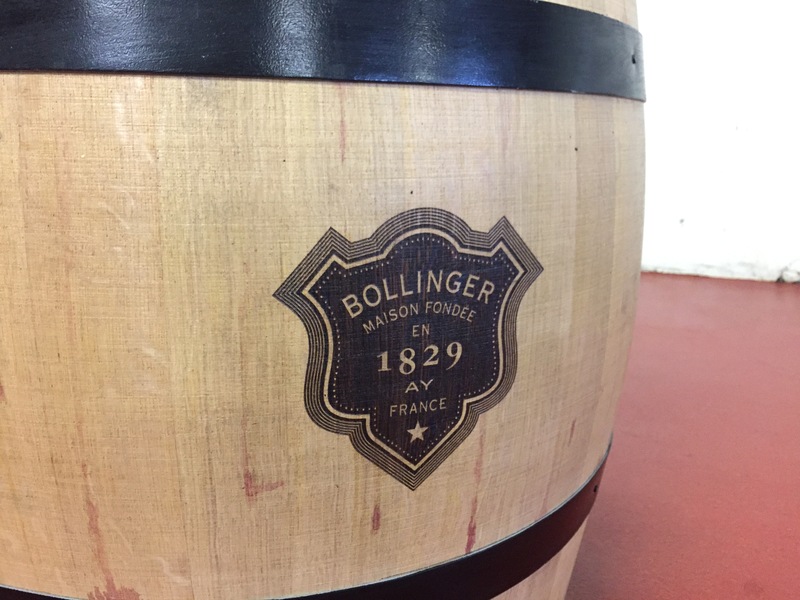 As we said earlier, 2016 appears to have been kind to Bollinger. 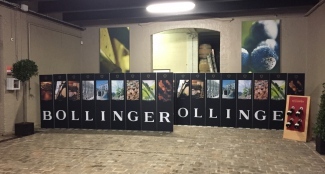 Where other houses experienced more severe vineyard destruction, Bollinger were less affected and displayed good foresight in delaying the Chardonnay harvest. 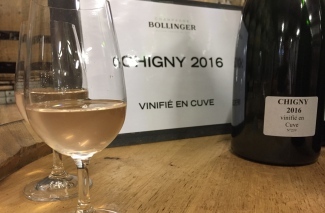 The underlying trend for the white grape is a richness and purity of fruit, the Pinot Meunier we tasted was impressively powerful and the Pinot Noir’s all showed dense red fruit characteristics and nice fresh acidity.